We listen to your circumstances and needs, then discuss the possible options available to you. Once this is established, we do the hard work of sifting through the myriad of possible solutions and ascertaining a short list of appropriate loans that will suit you. We are not affiliated with any lender and have access to all the possible loan products available in Australia. You will be looking at the loans that are the best for you. Once we have sorted the wheat from the chaff, we discuss the pros and cons of each solution and provide you with the information to make an informed decision. essential money helps you over any hurdles to turn your idea into a reality. We value your business and any potential referral so we always put your needs before the lenders needs. Peter Ryan has more than 25 years experience in the financial services industry. 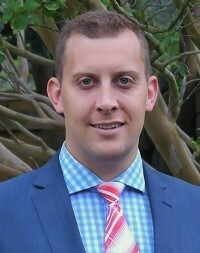 Before establishing essential money, he worked in the lending sector at Westpac and has a successful financial planning business. After hours, Peter enjoys spending time with his wife and two children, and the challenges of both marathon running, cycling and yoga! 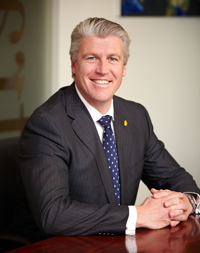 Peter is a Certified Financial Planner and has a Certificate IV in Mortgage Broking. Peter has a genuine desire to help people reach their financial goals. Brenton Henry has more than 5 years in the financial services industry. Prior to joining essential money, Brenton managed a number of customer service teams in various industries and gained valuable experience in the art of providing great customer service. Brenton has a Bachelor of Business (Financial Planning) and understands his clients’ financial positions well beyond just their borrowing needs, which allows for a holistically formulated borrowing strategy. When not at the office, Brenton enjoys spending time with his family and especially likes going out for a nice meal now and then. He is also an avid sports fan, particularly of football, cricket and golf, though as the years pass he finds that he is more often a spectator rather than a participant. Our finances hadn’t been looked at or reviewed for years and I had avoided financial planners. After dealing with Essential Money I know our finances are in order and we have a plan for the future. And…we’re saving money. Brenton’s approach put us first and our priorities first. He navigated the myriad of possible opportunities and paths we could take to meet our goals. Working together, despite the long term and overwhelming decisions we faced, our meetings were relaxed and we felt informed and in control. We always felt our needs were understood and reflected back to us in the advice we received. Cannot recommend Brenton at Essential Money enough. He was extremely helpful through the whole process, and made everything clear and simple. Any questions that we had were always answered straight away and all costs were explained to us. Brenton also shows what commissions Essential Money receive which helps you understand that any advice that he gives you will not be biased. Essential Money helped me refinance two loans – my mortgage and an investment loan. I am self-employed, and Peter developed a strategy to make sure the lender and the products for the combined borrowings met my particular needs – low cost, flexibility (regarding repayments, redrawing, etc), good interest rates, and able to managed electronically by me. Peter ensured the documentation and approval process was – relatively – painless, and he kept me informed at all the right times about progress and about the decisions I needed to make. Peter and his staff have subsequently been very accessible and helpful when I have had questions or issues. I am very happy with the result and confident that Peter’s strategy was the right one for me. Highly recommend Essential Money.